A foodborne illness outbreaks can ruin a restaurant. In addition to the horror of sickening (and even killing) your guests, food poisoning is (obviously) bad for business. Taco Bell experienced a foodborne illness outbreak in 2006, which affected 71 customersacross five states. Eight people developed kidney failure, and 53 were hospitalized. This outbreak was linked to lettuce tainted with E.coli. Foodborne illnesses sicken 48 million people, hospitalize 5,000, and kill 3,000 in the U.S. annually, according to the CDC. Given the recent headlines, statistics, and social media fallout around foodborne illness, we can all agree that this has become a widespread, serious problem. The good news is that it’s a solvableproblem. In fact,foodborne illness incidents are 100 percent preventable and could be avoided if food businesses adopted a food safety culture. It’s not enough to tell employees they need to do specific things in the name of food safety (e.g., not cut raw poultry on the same board as ready-to-eat foods, take the internal temperatures of foods, take food allergies seriously, etc.) Explain whyit’s so important to follow each protocol so they understand the reasoning behind the rules. Employees are more likely to comply when they understand why the protocols matter. Food safety training and education should be an ongoing effort. Train all employees, emphasizing why food safety is a huge priority for your organization. I recommend in-person trainings with a food safety expert – at least initially. Face-to-face interactions can help engage employees, emphasize key points, and create a more memorable learning experience. Online training is helpful for refreshers and reminders throughout the year. Have systems in place for regular self-inspections and audits. Task multiple employees with this important assignment so you’ll have multiple sets of eyes looking for potential problems. Utilize checklists – I recommend digital checklists – to increase accuracy and compliance. These self-inspections should cover equipment (ensuring everything is clean and working correctly), facilities (everything is sanitary, no cracks in tiles, no mold or pests, etc. ), and staff (everyone is complying with proper food safety protocols).Address and solve potential problems as soon as they’re noticed. An objective, third-party expert can see things that your internal team may have missed, and can often spot problems before they become liabilities. Additionally, they’re informed about the latest food codes, and know what local health departments will look for during their inspections. It’s wise to have a third-party expert inspect your facilities at regular intervals, provide food safety training, and ensure that all food safety protocols are being properly followed. Insist on proper and regular handwashing – before every shift, after using the restroom or emptying trash, after touching raw food, money, cellphones, doorknobs, menus, etc. Ensure there are easily accessible handwashing sinks, plus plenty of soap, hot water and single use towels. Create a food safety culture and model proper behavior to help prevent or reduce foodborne illness. Emphasize that food safety protocols are non-negotiable, and must be followed every day, every shift, by every employee. Foodborne illnesses are preventable, but it takes hard work, diligence, dedication and commitment to this culture. As a result of these efforts, you’ll increase the health and safety of your guests, employees, foods and business. 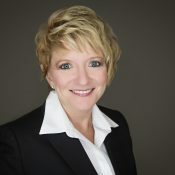 Francine L. Shaw is President of Savvy Food Safety, Inc. which offers a robust roster of services, including consulting, food safety education, food safety inspections, crisis management training, writing norovirus policies for employees, writing norovirus clean-up procedures, curriculum development, responsible alcohol service training, and more. The Savvy Food Safety team has more than 100 combined years of industry experience in restaurants, casinos, and convenience stores and has helped numerous clients prevent foodborne illnesses. She has been featured as a food safety expert in numerous media outlets, including the Dr. Oz Show, the Huffington Post, iHeartRadio, Food Safety News, Food Management Magazine and Food Service Consultants Society International.